"In Sacred Scripture, the Church constantly finds her nourishment and her strength, for she welcomes it not as a human word, 'but as what it really is, the word of God'" (Catechism of the Catholic Church, 104). 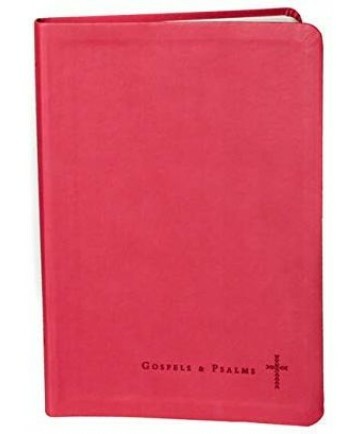 Read, pray, and journal your way through the Gospels and Psalms. The wide margins in this single-column edition give you room to journal, take notes, record prayers, and even doodle, allowing you to dig deeply into the meaning of passages and their impact on your faith.Leather Bound. 384 pages.